They have been linked to behavioral issues, insomnia and learning disabilities in children. Did you know that over the last 50 years that the use of chemical food dyes has increased by 500%! Bright colors are often added to kid’s food so it will make the macaroni and chess look cheesier and the juice drink look yummier. It’s in adult food too, check the ingredients label on the back of processed foods. Can you believe it’s even in toothpaste and medicine! In the United States, nine dyes have been approved by the FDA for human consumption. They are FD&C Blue No. 1, Blue No. 2, Citrus Red No. 2, Green No. 3, Orange B, Red 3, Red 40, Yellow 5, and Yellow 6. 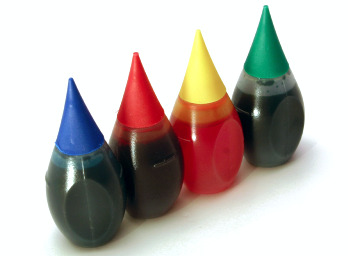 Artificial food dyes are man-made in a lab with chemicals derived from petroleum (a crude oil product, which also happens to be used in gasoline, diesel fuel, asphalt, and tar.) When I first learned this I was shocked and couldn't understand why the food manufacturers would add that to food, medicine and other products! Gross! According to the American Academy of Pediatricians, certain behavioral issues such as Attention Deficit Disorder and Hyperactivity (ADHD) has been officially linked to consumption of food dyes. What is so scary about that is kid’s foods are filled with chemical food dyes. The European Union passed a law requiring a warning notice on foods that contain one or more of the six suspicious dyes. The warning reads, “May have an adverse effect on the activity and attention on children.” Food additives also can be a problem. The food preservative Sodium Benzoate has also caused ADHD symptoms. “ A child’s growing brain is more vulnerable to neurotoxic effects of chemical food additives. The protective blood/brain barrier is not fully developed until late childhood, so at a stage when the brain is growing most rapidly, it is at it’s most vulnerable. There is a critical period from birth to around 10 years of age when the brain is most vulnerable to the effects of junk food.” If you are pregnant avoid food dyes! These symptoms can also be linked with other health issues but before you put your child on medications, consider taking the food dye out of their diet! Red No. 3 causes cancer in rats. Red No. 40, Yellow No. 6 and Yellow No. 6 - have been found to be contaminated with benzidine or other carcinogens. Blue No. 1, Red No. 40, Yellow No. 5, and Yellow No. 6 causes hyperactivity reactions. Blue No. 2, Green No. 3, and Red No. 4-increased tumor incidence and death in exposed hamsters. Blue No. 1 was shown to alter the behavior in mice. Your main protection is to avoid all food dyes and become a savvy LABEL READER!!! Turn those cereal boxes and packaged foods over and read the ingredients. You will be amazed at the amount of artificial colors; preservatives and other not so healthy stuff are in processed foods! Eat only fresh, organically grown foods.